If you have a commercial roofing project in Asheville, North Carolina, and want the job completed by a reputable, experienced company, then you should turn to Arango Insulation. We offer outstanding roofing systems for commercial structures from many reputable manufacturers, and we have the knowledge and expertise to undertake all types of commercial roofing projects. We specialize in installing roofs for multi-family dwellings like apartment complexes, condominiums, townhouses, and other similar commercial structures, including retirement housing centers. 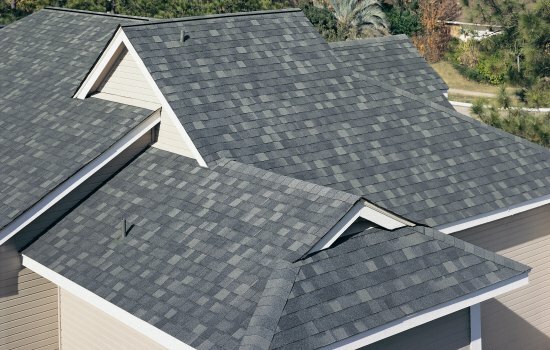 We have highly trained installation teams that work under the supervision of expert project managers to ensure that your roofing project is performed quickly and without flaws, and we back all of our work as a commercial roofer with a one-year warranty, giving our customers added peace of mind that we’ll take care of any problems that may arise. The commercial roofing systems we offer for Asheville, NC, buildings come from a host of impressive manufacturers, including GAF, CertainTeed, Owens Corning, Tamko, Versico, and GenFlex. We feature high-performance flat/low slope and steep slope systems that are aesthetically pleasing and made with energy-efficient materials. So, if you need a commercial roofing expert in Asheville, be sure to contact Arango Insulation. We also perform a wide variety of other commercial services, including commercial insulation. We offer fiberglass insulation, cellulose insulation, foam insulation spray, blanket insulation, and more.